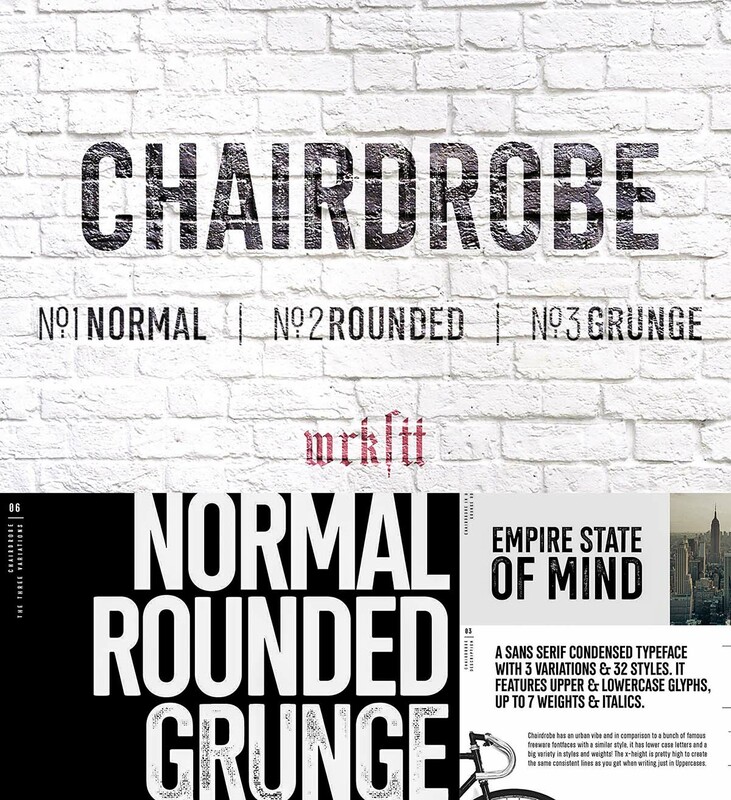 Chairdrobe is minimalistic typeface with a contemporary, urban style. It feels pure, raw and a bit dirty. You can use it as displaytype as well as in longer text. Chairdrobe is a sans-serif, condensed typeface. Available in 3 different variations – Normal, Rounded and Grunge. It features upper and lowercase letters and up to 7 weights and italics. Tags: display font, distressed, grunge, headline, minimalist, rational, sans serif, textured.